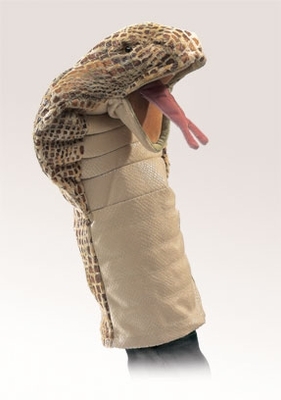 Folkmanis 2871 - Cobra Stage Puppet with textured fabric that looks like real snakeskin but feels surprisingly soft. Weave him around and animate the movable tongue to hypnotize your friends! Measures 8” x 9” x 15”.